Here are photos of male and female valley carpenter bees, The males are golden colored, and have green eyes, whereas the females are mostly dark. These specimens were collected by Will Glover, in Valley Springs, Calaveras County, late September 2014, in a woodpile. 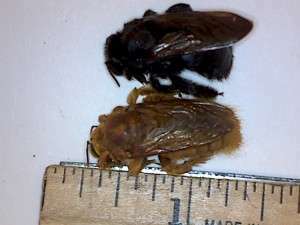 Female (black, top) and male (golden, bottom) valley carpenter bees. 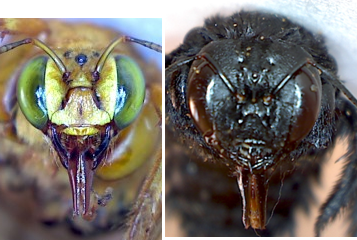 Here is a side by side comparison of the faces of the male (left) and female (right) valley carpenter bee. 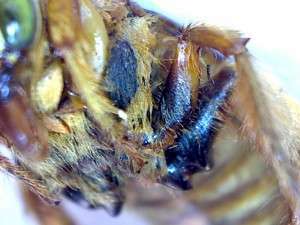 The images are not scaled the same, so please do not try to compare relative size from them. Do notice the difference in the overall appearance, and that in the female, the face is higher, going above the top of the eyes. 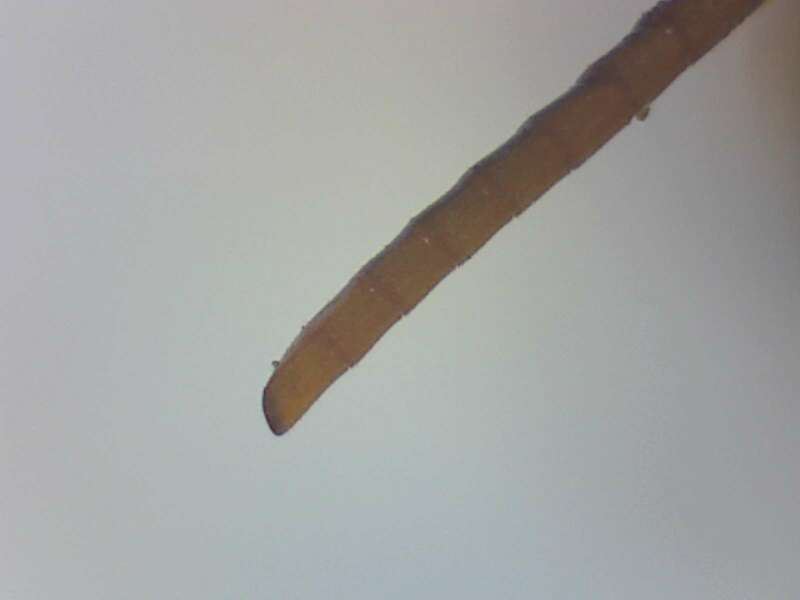 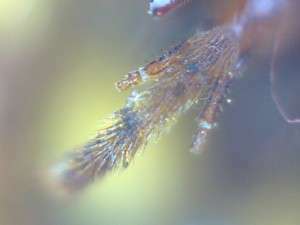 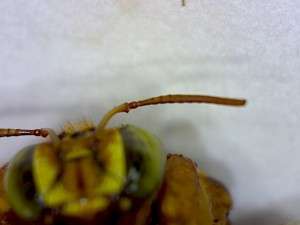 For example, the antenna joint in the male is above the top of the head. 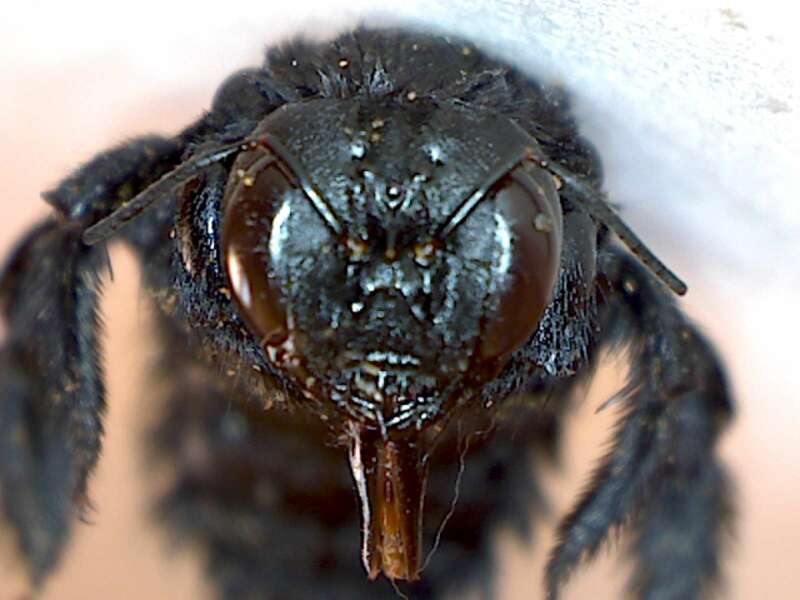 The face of the MALE valley carpenter bee. Note the green eyes. 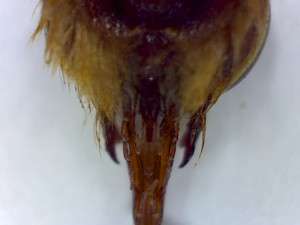 Ventral View of Tip of Abdomen, Male Valley Carpenter Bee. 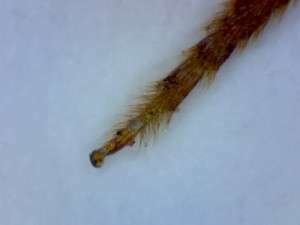 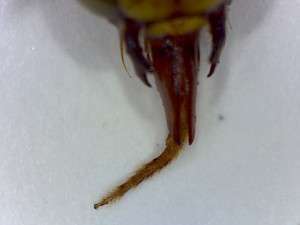 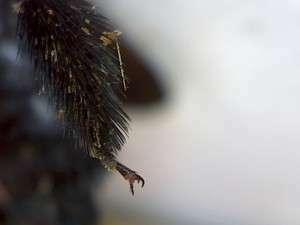 The front leg tarsus, and tarsal claws, of male valley carpenter bee. 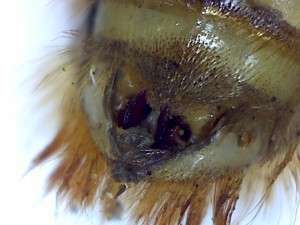 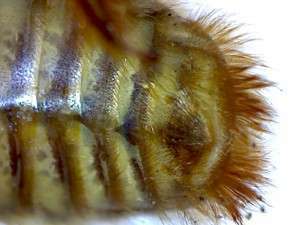 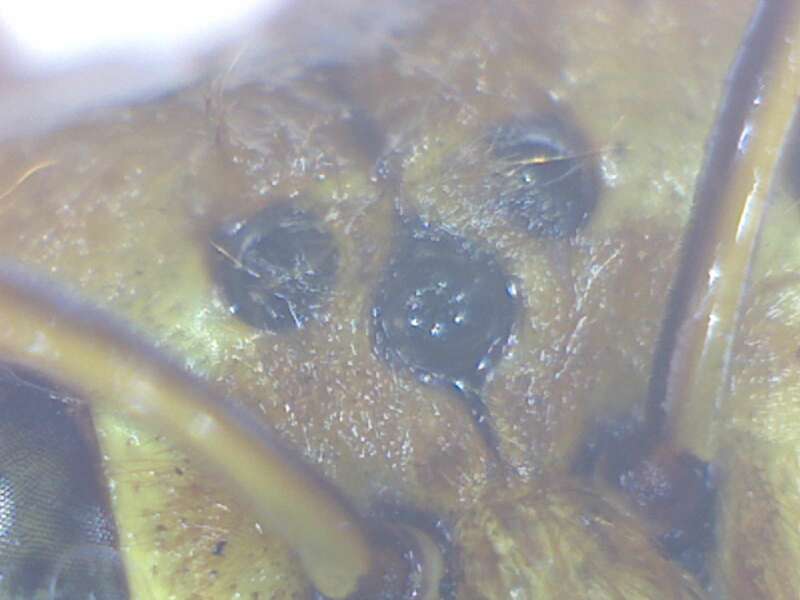 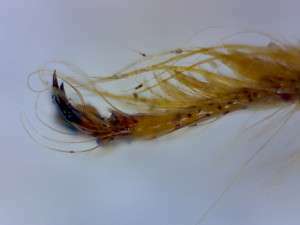 This image if the back of the head, showing the mouthparts of the male valley carpenter bee. 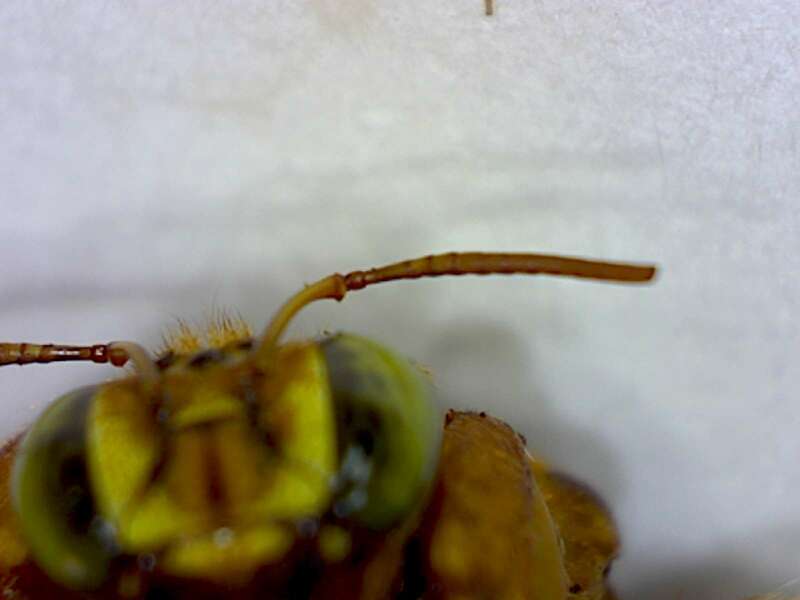 In this close-up of the tongue (glossa) of the valley carpenter bee, we can see the tip, called the flabellum. 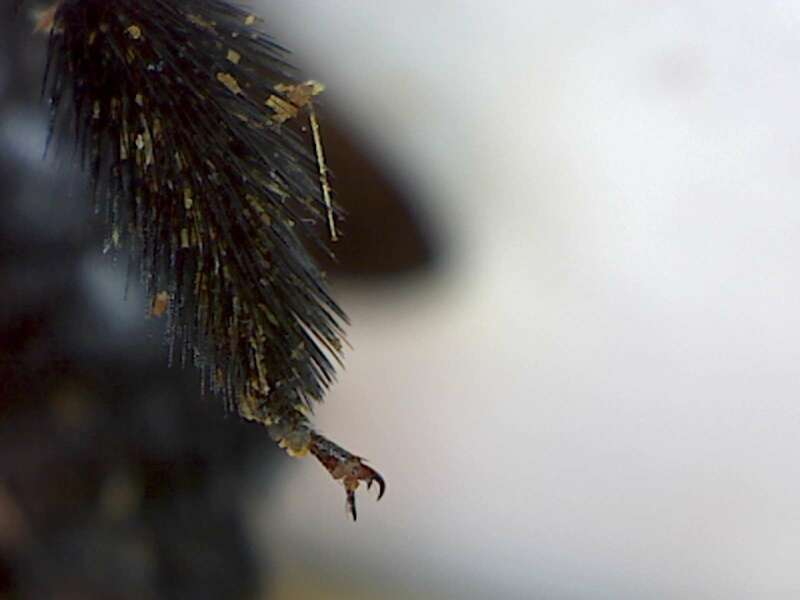 In this male valley carpenter bee, we see the galea (sheath-like structure), and the glossa (the hairy tongue). 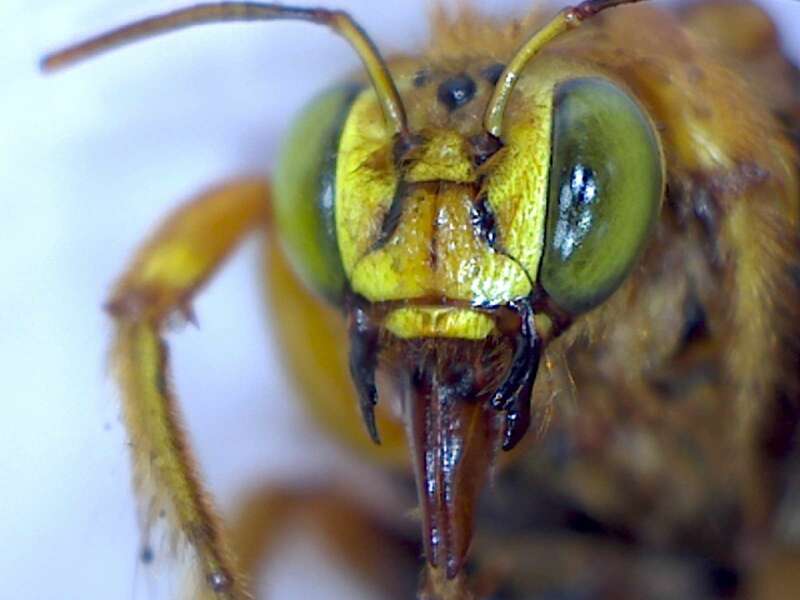 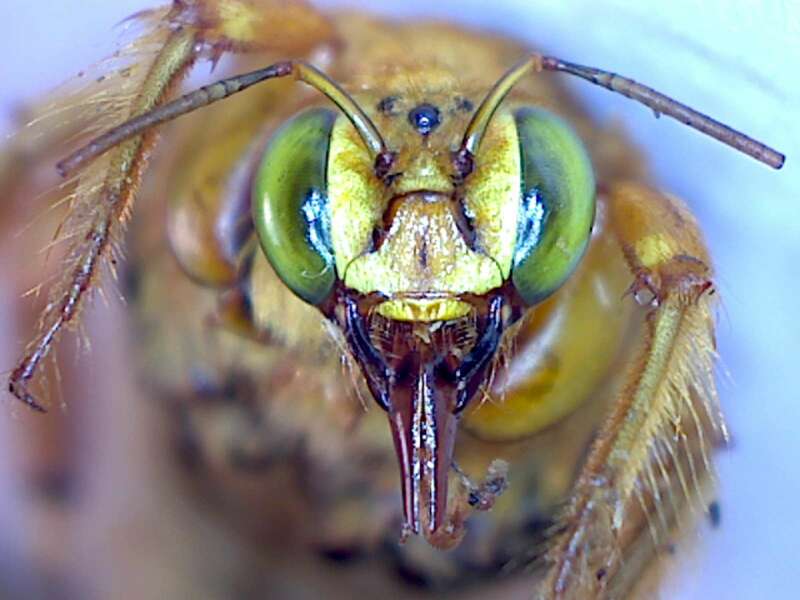 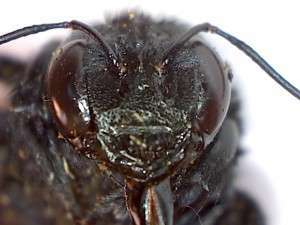 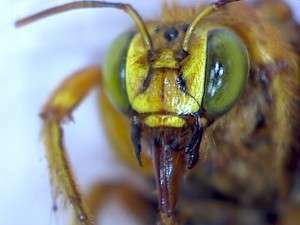 Another image of the face of the male valley carpenter bee. 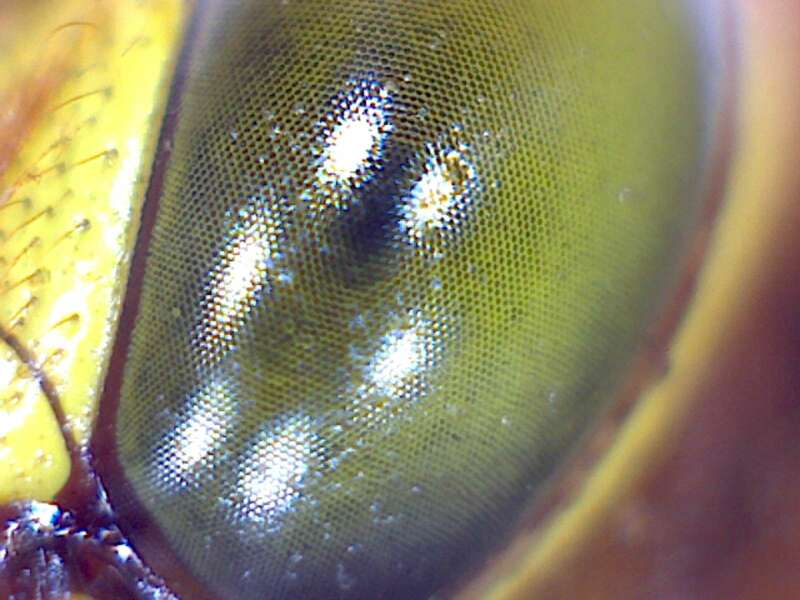 A close-up of the eye of the male valley carpenter bee.